Tickets can be purchased in advance HERE, in person at our monthly meetings, at fly tying events, or the day of the event. The Cornhusker Fly Fishers Spring fling is an event designed kick off the start of the fishing for the year. This event brings together the members of the club for a great day of fly tying seminars, raffles, silent auction items, and of course, food! Because of the event's popularity, we have needed to find a large enough location comfortable and large enough to accommodate everyone. This year, Spring Fling will now be held at Eugene T. Mahoney State Park. Lunch/drinks are included in your ticket price and is also accompanied by doughnuts, coffee in the morning and pie for desert. Nebraska State Park Entry Permit Not included in Ticket. Learn to tie flies from some of the greatest fly tiers in the business including Charlie Craven, A.K. 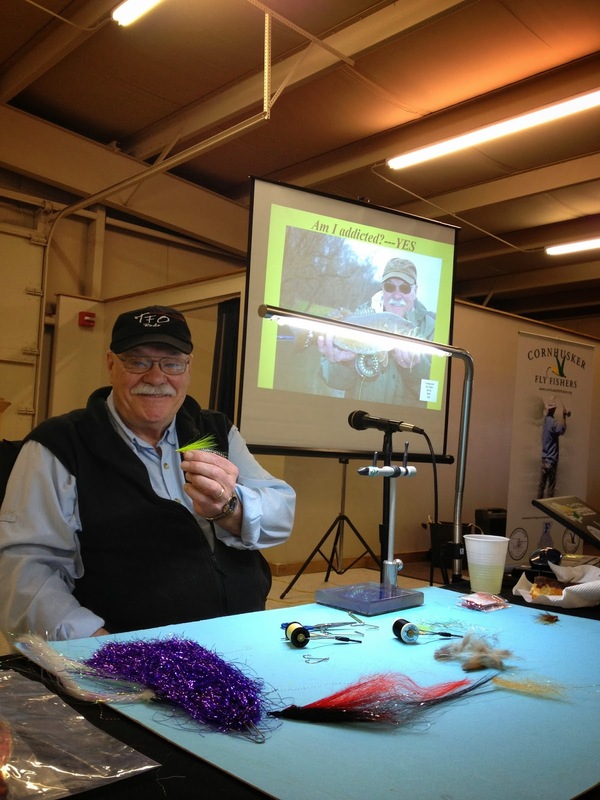 Best, Bob Clouser, Tim Holschlag and more! Learn about some of the best guided trips offered around the world, swap stories about your latest catch or check out some of the latest gear. Participate in the raffle and silent auction which often includes new reels, rods, boxes full of flies, vests, tying supplies and equipment, gift certificates and even guided trips on some of America's best trout rivers! George Daniel began fly fishing at the age of 6 in Potter County, PA, a remote region filled with wilderness and beautiful brook trout. By age 14, George’s family relocated to PA’s limestone region, which contained the state’s best trout fisheries. By the age of 17, George was travelling throughout the state, seeking lessons from expert anglers. By age 21, George had learned from the best anglers in the NE, including his mentor Joe Humphreys. Out of curiosity and with the support of his wife, George began entering local and national fly-fishing competitions. 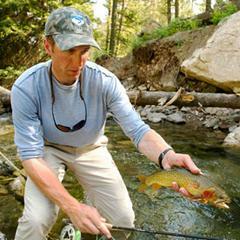 He earned a spot on Fly Fishing Team USA and remained on the team for 7 seasons. Also during that time, George was on the US Youth Fly Fishing Team’s coaching staff, including two years as head coach. George’s real motivation to compete was to travel the world and learn from world-renowned anglers to develop a global approach. 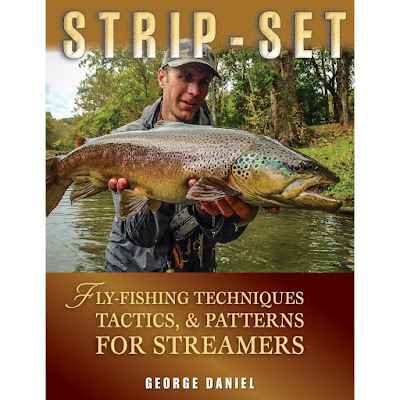 In that brief period, George had success by winning back-to-back US National Championships and placing in the top 5 in the 2006 World Fly Fishing Championships. 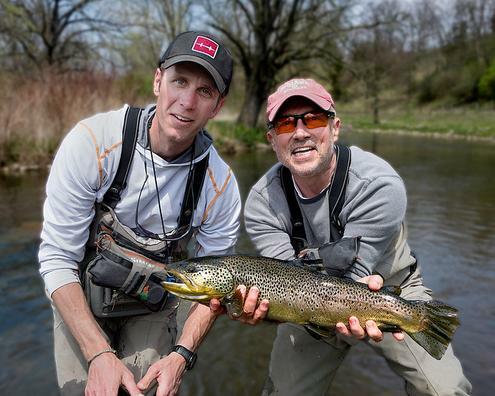 Eventually, competitive fly-fishing took its toll, so George retired at age 32 to spend more time travelling with his family and to focus on fly fishing education. George is a former manager of the TCO State College Fly Shop and now works exclusively with TCO Fly Shop with Livin On The Fly LLC. George currently assists with the US Youth Fly Fishing Team as well as writing and conducting fly fishing clinics/presentations across the country. His first book, Dynamic Nymphing has become a best seller. Currently, George is working on a second book project, which will be released September, 2015. George lives along the banks of his favorite trout stream with his wife, Amidea and their two children. Just read your article. Good one. I liked it. Keep going. you are a best writer your site is very useful and informative thanks for sharing! Go for the best quality product possible and research before purchasing one. Wasting money is not something anyone likes, better spend sometimes on research and get the right best fishing reel.